Well the Missus and I trundled out to Winchester yesterday to catch Horace and Agnes: A Love Story at the Griffin Museum of Photography and, say, it was swell. Because Horace and Agnes were there! 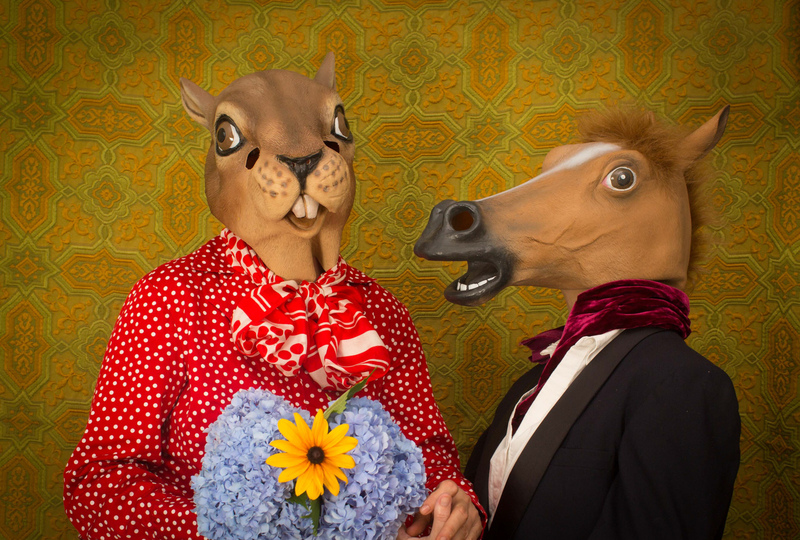 The happy couple are a collaboration of photographer Asia Kepka and writer Lynn Dowling. It was a hot summer day when Horace and Agnes: A Love Story came to life. 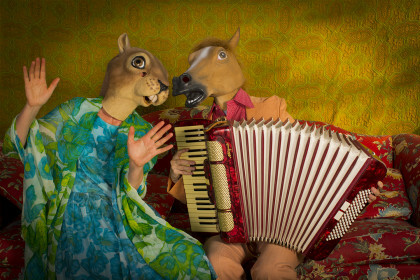 A casual meeting with friends, an accordion, a red couch, a squirrel and a horse mask spurred on a photo shoot. The resulting narrative has blossomed into over 100 photographs of Horace and Agnes Groomsby and their friends accompanied by text . . .
You really should go see it (through December 14). This entry was posted in Uncategorized and tagged Asia Kepka, Griffin Museum, Horace and Agnes: A Love Story, Lynn Dowling. Bookmark the permalink. I don’t think they have a walrus in the menagerie yet.